I will start with a part of the town's history which time seems to have forgotten, though it was a major attraction to the town in it's time "Dover Promenade Pier"
The pier was completed in 1893 and was originally 900 feet long. There were setbacks in the construction when a collision took place that destroyed the centre section. 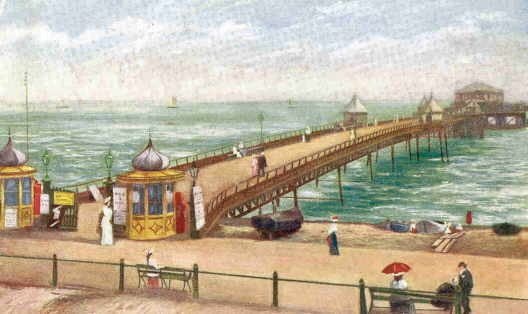 Finally in 1897 the pier was completed with a pavillion on the end. Many events took place including skating, which was in direct completion with the Dover Rink (located below the castle) and regular concerts. In WW1 the pier was used as a Naval landing stage, but never again saw it's heyday and was demolished in 1927. 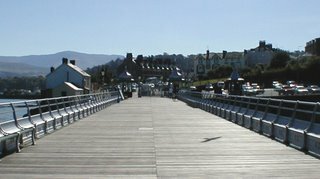 Many part of the pier were auctioned off including the ballroom floor, boards and gates. 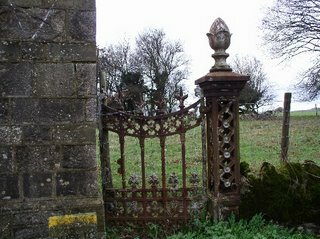 In fact parts of the gates themself are still in existance in the Weald of Kent.